Until the final decades of the 19th century, the Hebrew Bible, also known as the Old Testament in Christian circles, enjoyed its privileged status of being ‘the most ancient book ever known’, ‘a unique text without precedents’ and even ‘the very word of God’. Throughout practically the entire medieval age and until only a few centuries ago, the Holy Scriptures were regarded as the original and authentic register of the primeval history of humanity and their monotheistic Judeochristian worldview dominated all aspects of western society as absolute and indisputable. The Christian Church enjoyed a privileged authority, its philosophy of the fallen nature of man prevailed and the belief in the Hebrew deity Yahweh as the one true god was unrivaled. However, all that would change with the new archaeological discoveries in the Middle East at the dawn of the 20th century. In December of the year 1872 the uniqueness of the Book of Genesis was thrown into doubt for the first time when the scholar George Smith presented the most recent findings of the newly born Assyriology before the Biblical Society in London. Assyriologists had managed to decipher the cuneiform script and had already began to catalog and translate many Mesopotamian literary tablets. What was most curious was that many of the unearthed Akkadian manuscripts, all much more ancient than the Hebrew Bible, contained many striking similarities with the literary structure and the content of the Book of Genesis (Bottéro, 2000i). Three decades later, the illustrious German philologist and assyriologist Friedrich Delitzsch would shake the theological world of his time with his series of lectures titled ‘Babylon and the Bible’ in which he disclosed that the scriptures of the Hebrew Bible were nothing more than copies and reworkings of the more ancient Babylonian mythological literature that had been unearthed by German assyriologists at the archaeological site of Ashur between 1899 and 1903. The days of the Bible as a unique and unprecedented book came to an end and the truth that the Bible was no original work but a mere derivative stemming from a corpus of older Mesopotamian texts was brought to light (Huffmon, 1983ii). The Bible had already lost its prerogative of being the undisputed revelation of God and the academic world gradually became aware of the primacy of the pre-biblical Mesopotamian texts. The havoc that this revelation would wreak on orthodox theology was so great that it produced a great upheaval in the western academic world and some theologians sought to ban the assyriological lectures of Delitzsch appealing to the doctrine of the ‘divine revelation’ of the Holy Scriptures and claiming that the ethical monotheism of Israel was unquestionable (Huffmon, 1983iii). In the following decades, more findings that were shocking for Christian orthodoxy would place the originality of the Hebrew Bible in doubt when a wealth of ancient tablets, this time of the Sumerian literature, was discovered by archaeologists in various sites in Iraq and deciphered by scholars revealing that all the literary cultures of the Ancient Middle East, the biblical Hebrew culture included, have their origin in the extremely ancient Sumerian literary tradition. The deciphering of the Sumerian literature, once lost in oblivion, was made possible by the fortunate discovery of a corpus of bilingual Sumero-Akkadian texts found by François Lenormant and since then pioneers in Assyriology such as Arno Poebel and Samuel Noah Kramer have devoted themselves to the translation of the tablets contributing to our understanding of ancient religion manifold (Hallo, 2010iv). However, today the new archaeological and historical findings cast into doubt the early traditional date and suggest a much later date of composition than that supposed by orthodox theological schools. Presently the consensus of biblical scholarship places the date of redaction of the greater part of the books of the so-called primary history of the Bible including the final Pentateuch at a post-exile date around 550 BCE (Whybry, 1987v; Akenson, 1998vi). The most recent discoveries in the field of biblical archeology show many irreconcilable incoherences with the traditional perspective. Israel Finkelstein of the University of Tel Aviv and Neil Asher Silberman of the University of Massachusetts explain in their revolutionary book The Bible Unearthed that it has been discovered that many of the places mentioned in the primary history texts of the Bible such as the Book of Joshua for example didn’t begin to exist until the last decades of the 7th century BCE, a fact which means that the date of its composition must be placed in a later period from the 6th century BCE (Finkelstein & Silberman, 2001vii). The northern cities of Nineveh and Calah among others mentioned as great cities in the Table of Nations in Genesis 10 were in fact of little importance in the second millennium BCE. Nineveh didn’t become a great capital of the Assyrian Empire until the 7th century under the reign of Sennacherib and Calah wasn’t a significant place until the 9th century when king Ashurbanipal II made it into his capital transforming it thoroughly from a small and insignificant village into a great metropolis in no time (Finkelstein & Silberman, 2001viii; Grayson, 1992ix). Therefore, it is evident that the redactors of the Pentateuch and the books of the primary history of the Bible were familiar with the topography of their time between the 7th and 6th centuries and wrongly assumed that the same cities had existed in their present state since many centuries ago even before the supposed time of the life of Moses demonstrating their complete ignorance of the history of the foreign kingdoms. What is most likely is that the Pentateuch was redacted in its final form during the exile period in Babylonia (587-538 BCE) or at a later date just after the same event. What are the implications of these findings? First, we know that the Pentateuch of the Hebrew Bible isn’t as ancient as it was previously believed possessing an antiquity of some 2600 years at most. On the other hand, Akkadian texts such as the Poem of Atrahasis date back to the 18th century BCE (Lambert & Millard, 1999x; Walton, 1994xi) and the even more ancient Sumerian accounts on which the Akkadian literature is based date back to the Neo-Sumerian age in the latter centuries of the third millennium BCE and thus precede the Bible by almost two millennia (Kramer, 1963xii; Kramer, 1998xiii). Second, it remains clear that the greater part of the Hebrew Bible was invented by the Hebrew priesthood at a much later date than what was previously taught and it is most likely that it was redacted for a socio-political goal such as for example the justification of the transition to absolute monotheism and Jewish nationalism. The Hebrews in exile aimed to fabricate a glorious history for their people and present themselves as the ‘Chosen People of the one true god’ and the redaction of the Pentateuch was their means for reaching that goal. 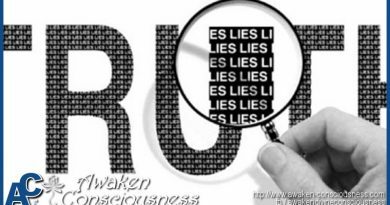 In other words, it is evident that this monotheistic document known today as the Holy Scriptures is deceptive since its polemic content was fabricated for a political purpose and the version of history it presents is highly distorted. Throughout centuries church institutions and orthodox theologians have taught us that the Bible is the revealed word of the one true god being a great champion of absolute monotheism. As a result many people believe naively that in the Bible there is only one god and there are no other gods but Yahweh. However, that is not what the texts of the Bible really say. The truth is that we Westerners are accustomed to read the book through a monotheistic lens allowing ourselves to be carried away by our own cultural prejudices. But we are not to blame; the biblical translations of our time invite us to interpret it as such. In popular English language Bibles such as the King James Bible and the New International Version we always find the name of the supposed biblical creator god translated as ‘God’ or ‘Lord’, but these translation are not accurate and it can even be said that they are somewhat deceptive. The reality is that when we read the Hebrew Bible in its original language we discover that in many cases the text doesn’t say ‘God’ and even less ‘Lord’, but the sacred name Yahweh or the Hebrew world Elohim whose meaning isn’t god in singular but ‘gods’ in plural. There are many subtle polytheistic references in the Old Testament that are barely detectable unless we have a knowledge of its original language. Even with some modern versions like the King James Bible we are able to find remnants and relics of polytheistic Hebrew thought if we read them with a scrutinizing eye. First, let’s go to the very beginning and take a look at the accounts of creation and rebellion in the first chapters of Genesis. Coming back to the Book of Genesis, just before Yahweh decides to destroy the creation by the deluge we encounter a bizarre episode in which the ‘Sons of God’ see that the daughters of men are beautiful and take them for themselves laying with them and engendering the famous Nephilim. Here the translation of ‘Sons of God’ is erroneous or rather blatantly deceptive given that its equivalent in the original language is Bene ha Elohim whose sole meaning is ‘sons of the gods’. What is certain is that the word Elohim is a masculine plural of El or Eloah which means ‘god’ in Hebrew. This verse implies that the mysterious beings who maintained sexual relationships with human women in Genesis 6:2 were in fact the divine offspring of the gods and goddesses of the highest tier of the heavenly pantheon which we encounter in the account of creation in the first chapters of the same book. In a nutshell, there existed a plurality of deities in the original Genesis and the earliest religion of the Hebrews was in fact a polytheistic system. As we saw in the previous section, the consensus of present day biblical scholarship concludes that the greater part of the books of the Hebrew Bible from Exodus to the books of Kings was redacted at a later date in a post-exile time around the year 550 BCE. In that time the scribes of the Hebrew Priesthood composed the Pentateuch in its final form quite similar to the one we have today. However, that doesn’t mean that there were no underlying Hebrew texts before that date. In fact, the literature of the Hebrew language has a history that dates back to the year 1000 BCE. Biblical scholarship suggests that some of the pre-biblical Hebrew writings were edited and modified for their incorporation into the later Pentateuch. Among these primitive Hebrew texts we find the so-called Song of Moses whose manuscript was found among the Dead Sea Scrolls at the archaeological site of Qumram in the middle of the 20th century. The Song of Moses forms the base of parts of the Book of Deuteronomy in the present Bible being an underlaying text more ancient than the rest of the biblical manuscripts. This fragment constitutes one of the few pre-exile Hebrew texts that we have at our reach. It is fitting to say that the content of this text revealed something very surprising for scholars of the age of discovery. This finding shed light on the nature of the first religion of the Hebrews. It was discovered that the pre-exile texts that had been incorporated in the Bible posteriorly during the exile contained numerous polytheistic references and then were edited and changed at a later date in order to harmonize them with the new monotheistic current of the post-exile age (Stark, 2011xiv). A good example of these cases would be the content of Deuteronomy 32:8-9 compared at the three different phases of its evolution. Until very recently the only manuscripts of this part of the Bible at our disposal were from the late Masoretic source dated between the 7th and 9th centuries of the Christian Era and the Septuagint, a Greek translation of the Hebrew Bible composed around the 3rd century BCE. However, with the discovery of the manuscripts of Qumram scholars have managed to recover a manuscript much more ancient that both of these belonging to the 8th or 9th century BCE. Let’s compare the content of the three manuscripts. Above we see how the monotheistic Jewish scribes first changed ‘Sons of the Gods’ for ‘Angels of God’ and then changed the text again substituting ‘Angels of God’ for ‘Sons of Israel’. In the medieval Masoretic version, seemingly Elyon and Yahweh are treated as the same entity whose role is to share out the nations among the human sons of the people of Israel. In the Septuagint more ancient by centuries Elyon and the Lord are presented as the same god and he shares out the nations among his angels. However, in the 4QDeut manuscript belonging to the Hebrew literary body of the pre-exile age and therefore much more ancient than the previous ones, we see that Elyon the most high and Yahweh the god of Israel are two distinct entities, the Bene ha Elohim are not angels but literally gods and Yahweh is just one of the many who inherited the nations of the world. This shows us that the original Hebrew religion of the Bible was polytheistic recognizing a plurality of gods until the scribes of the priesthood invented the doctrine of monotheism and edited these references in order to justify their new theology. This explains the many vestiges of Hebrew Polytheism that we still find in this supposedly monotheistic book. Another text of the same book describes Yahweh as a victorious warrior god winning for himself the admiration of his divine peers. Deuteronomy 32:43 also has three distinct levels depending on the era of its composition. Let’s compare them now. Here it remains clear that in the original Hebrew religion Yahweh wasn’t regarded as the only god; Yahweh was only one member of a considerably numerous divine pantheon and according to the primitive Hebrew theology he had fought against other gods for supremacy and ascended to the throne of heaven thanks to his great military skill (Stark, 2011xv). Thanks to the new archaeological findings of the 20th century we now have enough evidence to conclude that the first religion of the Hebrews recognized a polytheistic theology and the absolute monotheism of the post-exile period was a later theological invention directed by the Hebrew priesthood in Babylonia. From a historical viewpoint, it shouldn’t be any surprise that the primitive religion of the Hebrews was based on a fundamentally polytheistic theology. When we say primitive Hebrew religion we refer to the Judaism of the pre-exile period before the Pentateuch was redacted in its present form. Historical and archaeological researchers have revealed that the Hebrew culture prior to the exile was in reality nothing more than a subset of the Canaanite culture and by extension a part of the general levantine semitic culture, and therefore the separatist group that at a later time would distinguish itself from its Canaanite cousins and call itself Hebrews inherited directly the polytheistic religion of the Canaanites, the Phoenicians and the other neighboring levantine peoples (Tubb, 1998xvi; Smith, 2002xvii). Moreover, philological evidence suggests that the same pantheon existed not only in the levantine lands but also among the Mesopotamian semitic peoples constituting a common semitic theological worldview. Mark Smith of the University of New York, a great authority on the Pre-Hebrew semitic texts and the Canaanite religion, demonstrates that biblical phrases such as Bene ha Elohim (sons of the gods) and the meeting of the gods in Psalm 82:1 have parallels in the more ancient Canaanite and Ugaritic literature: in those texts there are the expressions bn ‘ilm and phr bn ‘ilm which mean ‘sons of the gods’ and ‘the assembly of the sons of the gods’ and have as their equivalent in the Akkadian mythology puhru ilāni (Smith, 2003xxi). In the semitic cultures such phrases precursory of Bene Elohim in the Bible always referred to the divine pantheon and to the junior deities in particular demonstrating the polytheistic origin of the primordial biblical religion (Stark, 2011xxii). The primitive Hebrew religion inherited its theology from the polytheistic semitic cultures via the Canaanites. Already more than a century has elapsed since Delitzsch made his revolutionary speech and now in the 21st century the fact that much of the content of Genesis has its origin in the more ancient Sumero-Akkadian texts is recognized by the assyriological consensus. Scholars such as Samuel Noah Kramer and Jean Bottéro have devoted there whole lives to the translation and the study of the Mesopotamian literature and have demonstrated that there are many striking parallels and various almost identical episodes between the Sumero-Akkadian accounts and the Book of Genesis concluding that the Bible is a recast of Sumerian mythology. Kramer explains that the Sumerian religious literature formed the basis of the mythological literature of the great semitic peoples such as the Akkadians, the Babylonians and the Assyrians and then reached the minor semitic peoples including the Hebrews via the Canaanites (Kramer, 1981xxiii; Kramer, 1998xxiv). Let’s take a look at some of the more notable parallels. 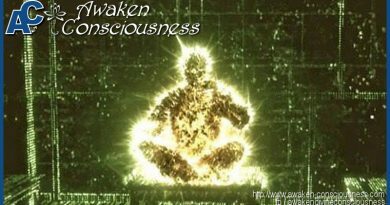 In Genesis we find the Tree of Knowledge in the midst of the Garden of Eden where the Serpent delivers to Adam his divine science opening his eyes and making him as one of the Elohim. In the Sumerian accounts such as Enki and the World Order we read that in midst of the sanctuary of Eridú lies the ‘Tree of the Me‘, the heavenly knowledge of the gods, whose guardian is the Ushumgal or ‘Great Serpent’, an epithet of Enki, the great Sumerian god of wisdom, magic and benevolence. 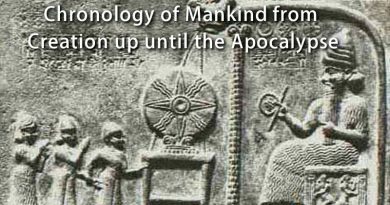 In the Sumerian accounts the Me are bestowed by Enki upon Adapa, the first civilized man, and this is done against the will of Anu, the misanthropic god who presides over the pantheon as the king of heaven. Anu is the father of Enki. Jean Bottéro suggests that the personage of the shrewed Serpent of Genesis was based on Enki, the Ushumgal, the great wise god of the Tree of the Me (Bottéro, 1998xxvi). In Genesis Adam is denied the fruit of the Tree of Life by Yahweh and his cherubims and remains condemned to die on earth. In the Sumerian Legend of Adapa, Adapa, the man educated and enlightened by the god Enki, offends Anu in his heavenly dwelling and is denied the bread and water of life which would have granted him the immortality of the gods. Ziolkowski concludes that the Legend of Adapa was recast by the Hebrews and forms the basis of the story of Adam, the Serpent and the defiance against ‘God’ in Genesis (Ziolkowski, 2000xxvii). In the time of Delitzsch and his famous lectures ‘Babylon and the Bible’, among the defenders of biblical orthodoxy there were those who theorized that the Hebrew accounts of the Bible had developed independently and in reality were original, but today such argument remains pretty well debunked by the many new archaeological evidences and we can demonstrate a very direct influence of the extra-ancient Sumerian literature upon the stories of Genesis. Therefore, the assyriological consensus maintains that the greater part of the content of Genesis is a recast of the accounts of the Mesopotamian religion. According to Samuel Noah Kramer, one of the foremost experts in Sumerian literature of the 20th century, most of the Sumerian manuscripts that we have at present are dated to a time around 2000 BCE although logically many of the accounts have their origin in the classical period (2600-2400) and in the Neo-Sumerian age (2200-2000) given that the Sumerian nation disappeared around the year 2000 BCE (Kramer, 1998xxix). The Sumerian literature would be adopted directly by the Akkadians, Babylonians and Assyrians in Mesopotamia, the Elamites in Persia, the Hittites and Hurrites in Anatolia (Turkey), the Canaanites on the levantine coast and even the peoples of central Egypt (Kramer, 1993xxx). Moreover, the Sumerian language continued to be used as a literary, religious, academic and ceremonial language throughout many parts of the Middle East by the Babylonians, Assyrians and Canaanites even millennia after the demise of Sumer (Kramer, 1998xxxi). In fact, the scribal academies in semitic nations like Babylonia and Assyria regarded the Sumerian language and literature as their staple discipline and produced a wealth of bilingual texts and dictionaries (Kramer, 1998xxxii). As a consequence, Sumerian culture, literature, cosmology, theology, ethics and education were disseminated throughout many regions of the Middle East passing through Assyria and Ebla and arriving even into Hittite Anatolia in the north and Palestine in the west (Kramer, 1963xxxiii; Dalley, 1998xxxiv). In addition to that, the Akkadian language was used as a lingua franca among the semitic peoples of the second millennium BCE including the inhabitants of Palestine and Akkadian literature was read and appreciated as an aspect of high culture in all parts forging literary prototypes for the local cultures (Kramer, 1963xxxv). The Akkadian literature was essentially the literature of the Sumerians conserved in Akkadian, the most widely used semitic language in Mesopotamia in the second millennium BCE. 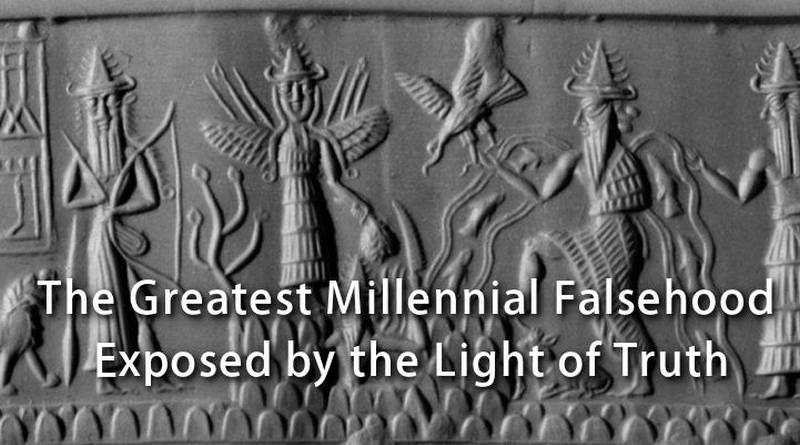 In this article we have seen that the Hebrew scriptures of the Pentateuch, the Book of Genesis included, are not so ancient as believed previously, the idea that the Bible is a purely monotheistic book is in reality false, the content of Genesis is nothing original but rather a mere recast of various accounts of the much more ancient Sumero-Akkadian literature, the Hebrew people was never a special culture as the Judeochristians would like to have us believe but rather a simple subset of the common semitic culture, the god of the Hebrews wasn’t the original god and the first religions including that of the Hebrews were in fact polytheistic and recognized a pantheon of many gods. Moreover, we have seen the revelation that almost all of the stories in Genesis have their precursors in the older Mesopotamian texts such as the Eridú Genesis, the Poem of Atrahasis, the Epic of Gilgamesh, the Legend of Adapa and various other accounts. It remains clear that the once special and unique biblical Genesis is nothing more than a remade and distorted copy of the great ancient Sumerian literary accounts. Therefore, Jewish monotheism was also a deceptive invention of the Jewish priesthood. It is fitting to say that in the earlier Mesopotamian literary bodies in which the first book of the Bible is based there is no idea of a special ‘chosen people’ of a highest god; that is just a deceptive hoax of the Hebrew priesthood of the exile period and a haughty fantasy of the twisted minds of Jewish fanatics. They have been able to lie to us for so long. However, now they cannot continue to conceal our past, for we are at the dawn of an age of illuminating knowledge that shines more intensely each time, casts out the darkness of falsehood and progressively reveals the truth that was forgotten. Throughout so many centuries we have been bogged down in the dominion of the jehovitic thought of the Judeochristian worldview. But now much more information has been exposed by the light. Now we have a wealth of historical documents that precede the conventional Judeochristian version. We have accepted the jehovitic version for so long. Now it is time for us to look at history from the contrary viewpoint, the perspective of Enki, the polytheistic outlook, the perspective of the Serpent that was so strongly vilified in the biblical tradition. Let’s dare to review the primeval history from a Sumerian viewpoint. Related: Chronology of mankind, Need to know knowledge.